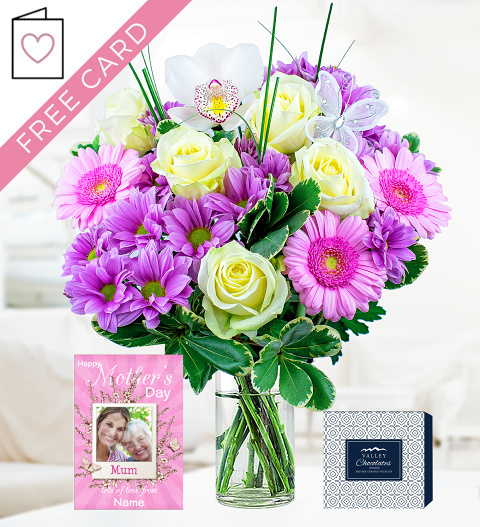 Send your Mum warm wishes with this beautifully hand-tied bouquet created with your mum in mind. Our skilled florists have put extra thought and effort into making this Mother's Day truly special. It comes hand-tied with beautiful pink chrysanthemums with Dutch avalanche roses, germinis and a beautiful Japanese orchid complimented with pittosporum.